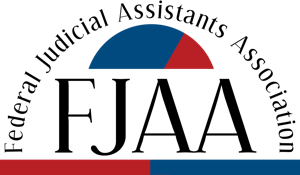 The FJAA Scholarship Program is awarded twice per year and is administered by the FJAA Professional Development & Continuing Education Committee (PDCEC). It is set up to enable and assist FJAA members in good standing to pursue their educational goals and professional development by taking courses and attending seminars and workshops to provide additional knowledge and skills to enhance job performance. The course or training program for which the scholarship is used does not have to be applied toward a degree, but must be work or career-related so that the courts and the individual recipient benefit. This is a great benefit offered only to FJAA members. Please take advantage of this wonderful program to enhance your skills and personal growth.